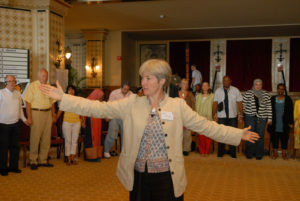 When I first was invited to deliver a daily contribution in a week-long conference called ‘Leading Change for a Sustainable World’ in Caux, Switzerland I did not know anything much about Initiatives of Change. 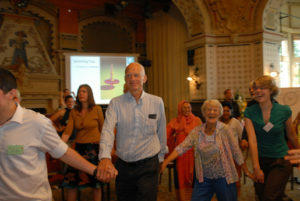 I have been involved ever since – every year in Caux and increasingly within the fellowship in the UK. I knew when I first walked into this building that I had a place amongst this global community and that there was something for me to be doing to support it and the people in it. Each year I contribute to different conferences and each year I meet many, many amazing people – who, in their own ways and communities, are helping to make our world a little bit better. that cannot not craft worlds of explanation? Is ‘all in all’ our most profound delusion? in search of truth which lies in etheric shelves? THE place these searching souls don’t dare to quiz? can pull our puppet strings and command our dance. for what we did and did not do. Shocked. Bemused. that once again – to make the change, we fail. to catch the holy grail of hidden truths. and grandeur. Make your name! Court worldly acclaim! over fame or vapid anonymity? The P6 Constellation came into view in its current form in late 2012 after 30+ years in gestation in Louie. Coaches who Louie supervised sense there was something in Louie’s practice they wanted for themselves and called her out: “When are you going to offer training – so we can learn to do this for ourselves?” It took about 12 months from that invitation for Louie to synthesise and find a form that was completely coherent with the complex dynamics she (we) experience within and between ourselves as human beings. Hear what Ro has to say in her early days of coming to learn how to use the P6 Constellation for herself. Rowena Lavender on Potent 6 from Gillian Morrison on Vimeo.